If you live in America or have access to the internet, chances are slim that you haven’t heard anything about the new miracle food – coconut oil. It’s literally everywhere. In smoothies and coffee, pancakes and pasta dishes, shampoo and face scrubs. What is this stuff? This magical tropical oil is super flavorful and delicious for anyone who enjoys the flavor of coconut. 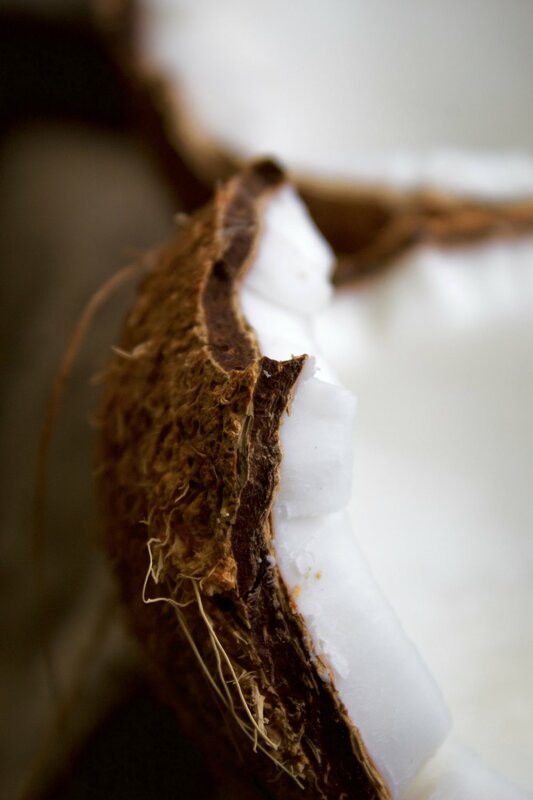 Coconut and it’s many products have been used for centuries by tropical dwelling people for tons of dishes like curries and stir fries. It’s boom across the world in the past few years sees coconut oil being put in just about everything as everyone wants to harness the miracle health properties it holds inside. Well, I guess we found the cure for cancer! Pretty much all of the purported health benefits of coconut oil are attributed to it’s high medium chain triglycerides, or MCT, content. MCT is a saturated fat. When we usually think of saturated fat, we are thinking of things like butter and fat in steak. These types of saturated fat are long chain triglycerides (LCT), and act a bit differently in the body than the shorter length, yet still saturated MCT. So, MCT may have its merits, but also may have its negatives depending on what aspect of health you are examining. When you look at the type of fats in coconut oil, you see that it is about 50% MCT. (First of all, that means that only half of the fat in coconut oil would contain the purported magical MCT powers) Medium chain triglycerides are those that have fatty acids of 6 to 10 or 12 carbons in length. Long chain triglycerides have fatty acids 12 or 14 to 20 carbons in length. As you can see there is a type of fatty acid that seems to fall on the line of each category. It’s the one with 12 carbon atoms, and it’s name is lauric acid. 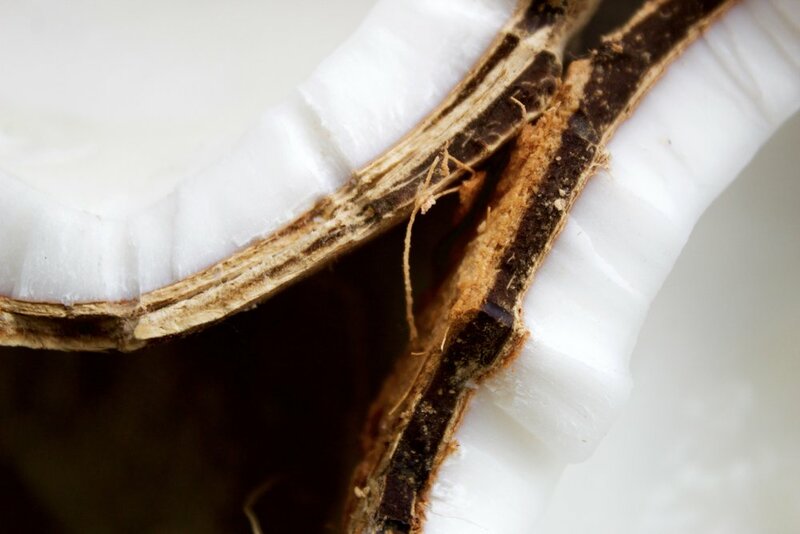 Coconuts are one of the richest natural sources of lauric acid on earth, with almost all of the MCT in coconuts coming from this fatty acid. Here’s where it gets interesting. Lauric acid is actually considered by many as a LCT and not a true MCT. When you look at many MCT studies, they are actually using MCT with 8 or 10 carbons in length as they have the characteristic properties of MCT, and excluding lauric acid. Why? Meaning, the body treats it as a long chain fat and not a medium chain fat. So, all those claims about how great the MCT in coconut oil is for you- not really valid. Because when you really look at what makes up that delicious oil, it’s not really MCT, it’s long chain saturated fat. Yes, like butter. What should this all mean for you? Coconut oil may taste ridiculously awesome, but it’s health impacts maybe aren’t on the same level. 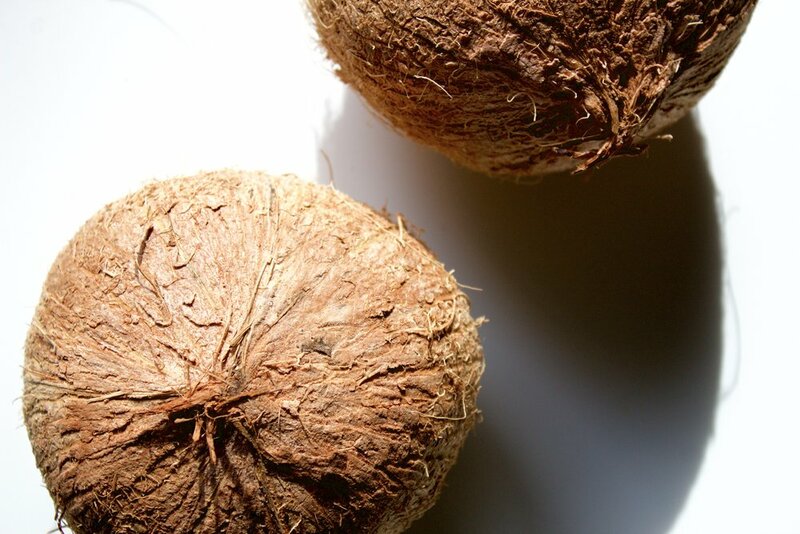 It doesn’t really even contain the type of fat that coco-pushers point to as the magic ingredient. The type of fat it does contain is much more comparable to other saturated fats like butter. If you are trying to eat for good health or performance (which perhaps you are if you are still reading, hi! ), and you do want to enjoy some coconut oil in your life, have it in moderate amounts (like you would butter). For example, if coconut oil was the only saturated fat you were to eat in your daily 2000 calorie diet, a little less than 2 tablespoons (28g) of coconut oil would be the most you could include within healthy dietary guidelines. Like all foods, it’s not that coconut oil is inherently bad for you- the amount you eat in the context of your overall diet is what should be assessed. (Although, the lauric acid in coconut oil is known to strongly increase LDL cholesterol, just saying) There is almost always room for a little of the not-so-good-for-you foods that we just crave sometimes. Maybe coconut oil is in that category for you, or maybe not. Either way, you aren’t missing out on any miraculous health benefits from this tropical oil.